The malong consists of several panels of the same design that have been sewn together.The intention of the weaver is to create a planar repeating pattern that covers the fabric. Its symmetry group is pmg. There are 180o rotational symmetries and reflection symmetries with vertical reflection axes. 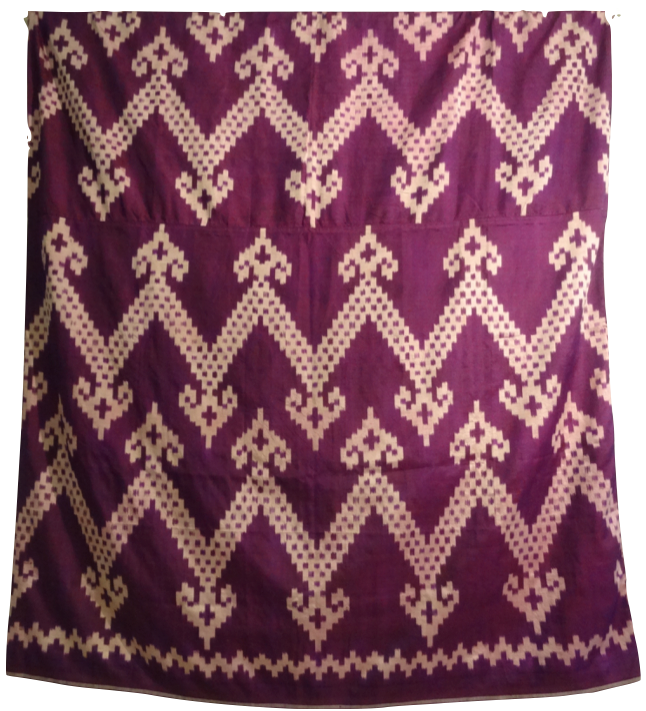 The lower portion of the malong is bordered by a frieze pattern with symmetry group mg. Symmetries include vertical reflections, glide reflection and 180o rotational symmetries.